It has been suggested that this article be merged into United States Postal Service . (Discuss) Proposed since April 2019. "Post Office Department" redirects here. For the former Canadian Post Office Department, see Canada Post. The United States Post Office Department was the predecessor of the United States Postal Service, in the form of a Cabinet department officially from 1872 to 1971. It was headed by the Postmaster General. The United States Postal Service is an independent agency of the executive branch of the United States federal government responsible for providing postal service in the United States, including its insular areas and associated states. It is one of the few government agencies explicitly authorized by the United States Constitution. 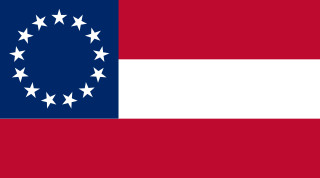 During the American Civil War (1861–1865), postal services in the Confederate States of America were provided by the Confederate States of America Post-office Department, headed by Postmaster General John Henninger Reagan. John Henninger Reagan was an American politician from the U.S. state of Texas. A Democrat, Reagan resigned from the U.S. House of Representatives when Texas seceded from the Union and joined the Confederate States of America. He served in the cabinet of Jefferson Davis as Postmaster General. After the Confederate defeat, he called for cooperation with the federal government, an unpopular position. He was elected to Congress in 1874, after his predictions of harsh treatment for resistance were proved correct. He also served in the U.S. Senate from 1887 to 1891, and as chairman of the Texas Railroad Commission. He was among founders of the Texas State Historical Association. The Postal Reorganization Act was signed by President Richard Nixon on August 12, 1970. 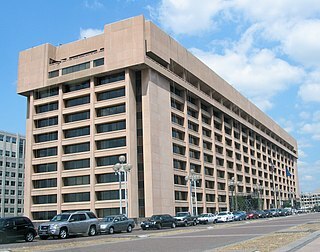 It replaced the cabinet-level Post Office Department with the independent United States Postal Service on July 1, 1971. The regulatory role of the postal services was then transferred to the Postal Regulatory Commission. Richard Milhous Nixon was an American politician who served as the 37th president of the United States from 1969 until 1974, when he resigned from office, the only U.S. president to do so. He had previously served as the 36th vice president of the United States from 1953 to 1961, and prior to that as both a U.S. representative and senator from California. The United States Postal Regulatory Commission, formerly called the Postal Rate Commission, is an independent regulatory agency created by the Postal Reorganization Act of 1970. Like the Postal Service, it was defined in law as an independent establishment of the executive branch. The patent included the exclusive right to establish and collect a formal postal tax on official documents of all kinds. The tax was repealed a year later. Neale appointed Andrew Hamilton, Governor of New Jersey, as his deputy postmaster. The first postal service in America commenced in February 1692. Rates of postage were fixed and authorized, and measures were taken to establish a post office in each town in Virginia. 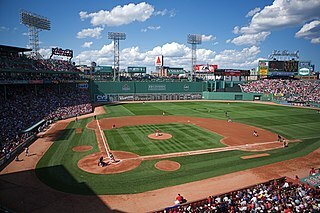 Massachusetts and the other colonies soon passed postal laws, and a very imperfect post office system was established. Neale's patent expired in 1710, when Parliament extended the English postal system to the colonies. 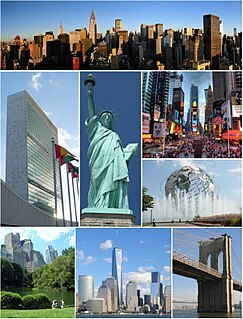 The chief office was established in New York City, where letters were conveyed by regular packets across the Atlantic. Before the Revolution, there was only a trickle of business or governmental correspondence between the colonies. Most of the mail went back and forth to counting houses and government offices in London. The revolution made Philadelphia, the seat of the Continental Congress, the information hub of the new nation. News, new laws, political intelligence, and military orders circulated with a new urgency, and a postal system was necessary. Journalists took the lead, securing post office legislation that allowed them to reach their subscribers at very low cost, and to exchange news from newspapers between the thirteen states. Overthrowing the London-oriented imperial postal service in 1774–1775, printers enlisted merchants and the new political leadership, and created a new postal system. 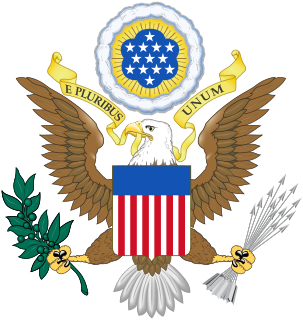 The United States Post Office (USPO) was created on July 26, 1775, by decree of the Second Continental Congress. Benjamin Franklin headed it briefly. Before the Revolution, individuals like Benjamin Franklin and William Goddard were the colonial postmasters who managed the mails then and were the general architects of a postal system that started out as an alternative to the Crown Post. ~ Benjamin Franklin ~ George Washington ~The First U.S. Postage StampsIssued 1847The first stamp issues were authorized by an act of Congress and approved on March 3, 1847. The earliest known use of the Franklin 5¢ is July 7, 1847, while the earliest known use of the Washington 10¢ is July 2, 1847. These issues were declared invalid for postage on July 1, 1851. An Act of Congress provided for the issuance of stamps on March 3, 1847, and the Postmaster General immediately let a contract to the New York City engraving firm of Rawdon, Wright, Hatch, and Edson. The first stamp issue of the U.S. was offered for sale on July 1, 1847, in New York City, with Boston receiving stamps the following day and other cities thereafter. The 5-cent stamp paid for a letter weighing less than 1 oz (28 g) and traveling less than 300 miles, the 10-cent stamp for deliveries to locations greater than 300 miles, or twice the weight deliverable for the 5-cent stamp. The advent of parcel post also led to the growth of mail order businesses that substantially increased rural access to modern goods over what was typically stocked in local general stores. In 1912, carrier service was announced for establishment in towns of second and third class with $100,000 appropriated by Congress. From January 1, 1911, until July 1, 1967, the United States Post Office Department operated the United States Postal Savings System. An Act of Congress of June 25, 1910, established the Postal Savings System in designated Post Offices, effective January 1, 1911. The legislation aimed to get money out of hiding, attract the savings of immigrants accustomed to the postal savings system in their native countries, provide safe depositories for people who had lost confidence in banks, and furnish more convenient depositories for working people. The law establishing the system directed the Post Office Department to redeposit most of the money in the system in local banks, where it earned 2.5 percent interest. During 1918, the Post Office hired an additional 36 pilots. In its first year of operation, the Post Office completed 1,208 airmail flights with 90 forced landings. Of those, 53 were due to weather and 37 to engine failure. By 1920, the Air Mail service had delivered 49 million letters. Domestic air mail became obsolete in 1975, and international air mail in 1995, when the USPS began transporting First-Class mail by air on a routine basis. ↑ "The United States Postal Service: An American History 1775 – 2002". United States Postal Service. September 2003. Archived from the original on October 30, 2004. ↑ "Indexes to Rosters of Railway Postal Clerks, ca. 1883 - ca. 1902". National Archives and Records Administration. ↑ Huebner, Francis C. (1906). "Our Postal System". Records of the Columbia Historical Society, Washington, D.C. 9: 126–174. JSTOR 40066939. ↑ "The history of the United States Postal Service:1775–2006". USPS. May 2007. Retrieved March 12, 2012. ↑ William H. Bergmann, "Delivering a Nation through the Mail," Ohio Valley History (2008) 8#3 pp 1–18. ↑ "Steamboat Subjects on United States Postage Stamps – Who We Are – USPS". United States Postal Service. Retrieved 2017-01-28. 1 2 3 "National Postal Museum". SI. Archived from the original on June 22, 2008. Retrieved October 25, 2008. ↑ "Publication 100: U.S. Postage Stamps". 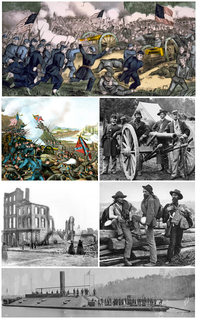 An American History 1775 – 2006. USPS. November 2012. Retrieved 2014-04-18. ↑ "National Postal Museum". Postalmuseum.si.edu. Archived from the original on May 26, 2008. Retrieved October 25, 2008. ↑ "Post Office In Paradise, Mail Rates During the UPU Period". Post Office in Paradise. 10 July 2000. Retrieved 11 December 2008. ↑ "Parcel Post: Delivery of Dreams". Sil.si.edu. Retrieved October 25, 2008. 1 2 "Parcel Post: Delivery of Dreams: Introduction". Smithsonian Institution Libraries. 2004. Retrieved 18 December 2012. ↑ Heidelbaugh, Lynn (September 2007). "Laundry Box". National Postal Museum, The Smithsonian. Archived from the original on September 14, 2012. Retrieved 21 January 2013. ↑ "Precious Packages—America's Parcel Post Service". National Postal Museum. 2012. Retrieved 12 April 2012. ↑ Servies, Tony (11 July 2008). "The Bank That Was Sent Through the Post Office". stampsofdistinction.com. Archived from the original on 2012-04-28. Retrieved 12 April 2012. ↑ "One hundred years ago this month: September 20". Emmitsburg News-Journal. September 2012. ↑ ""Postal Savings System" by HISTORIAN, UNITED STATES POSTAL SERVICE, JULY 2008" (PDF). Retrieved 2012-07-18. 1 2 "The Post Office Flies The Mail". U.S. Centennial of Flight Commission. Archived from the original on 2012-01-06. Retrieved 2014-04-18. ↑ "Comstock Law of (1873)". Law.jrank.org. Retrieved October 25, 2008. ↑ "The Great 1970 Mail Strike that Stunned the Country". Labor History Articles. American Postal Workers Union. March 2017. Retrieved 22 April 2019. ↑ Boyd, Deanna; Chen, Kendra (2019). "Postal Strike and Reorganization: Reinventing the System". The History and Experience of African Americans in America’s Postal Service. National Postal Museum . Retrieved 22 April 2019. ↑ Piazza, Daniel (15 April 2008). 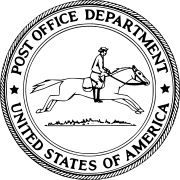 "8-cent Postal Service Emblem". Smithsonian National Postal Museum . Retrieved 22 April 2019. A post office is a public department that provides a customer service to the public and handles their mail needs. Post offices offer mail-related services such as acceptance of letters and parcels; provision of post office boxes; and sale of postage stamps, packaging, and stationery. In addition, many post offices offer additional services: providing and accepting government forms, processing government services and fees, and banking services. The chief administrator of a post office is called a postmaster. Canada Post Corporation, known more simply as Canada Post, is a Crown corporation which functions as the primary postal operator in Canada. Originally known as Royal Mail Canada, rebranding was done to the "Canada Post" name in the late 1960s, even though it had not yet been separated from the government. On October 16, 1981, the Canada Post Corporation Act came into effect. This abolished the Post Office Department and created the present day Crown corporation which provides postal service. The act aimed to set a new direction for the postal service by ensuring the postal service's financial security and independence. The history of postal service of the United States began with the delivery of stampless letters, whose cost was borne by the receiving person, later also encompassed pre-paid letters carried by private mail carriers and provisional post offices, and culminated in a system of universal prepayment that required all letters to bear nationally issued adhesive postage stamps. This is a partial timeline of significant events in postal history, including dates and events relating to postage stamps. Franking refers to any devices, markings, or combinations thereof ("franks") applied to mails of any class which qualifies them to be postally serviced. Types of franks include uncanceled and precanceled postage stamps, impressions applied via postage meter, official use "Penalty" franks, Business Reply Mail (BRM), and other permit Imprints (Indicia), manuscript and facsimile "franking privilege" signatures, "soldier's mail" markings, and any other forms authorized by the 191 postal administrations that are members of the Universal Postal Union. 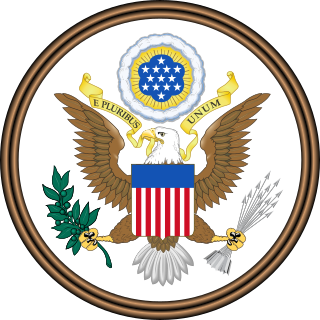 Initial United States postage rates were set by Congress as part of the Postal Service Act signed into law by President George Washington on February 20, 1792. The postal rate varied according to "distance zone", the distance a letter was to be carried from the post office where it entered the mail to its final destination. Rates were adopted in 1847 for mail to or from the Pacific Coast and in 1848 for mail sent from one place in the west to another place in the west. There were double and triple rates as a letter's size increased. There were ship fees which were also added. The ship fee, including the ship rate on letters for delivery at the port of entry, were on a per letter basis, rather than weight. The United States issued its first postage stamps in 1847. Before that time, the rates, dates and origin of the letter were written by hand or sometimes in combination with a handstamp device. The American Letter Mail Company was started by Lysander Spooner in 1844, competing with the presumed legal monopoly of the United States Post Office. The Department of Posts, functioning under the brand name Sri Lanka Post(Sinhala: තැපැල් දෙපාර්තමේන්තුව, ශ්‍රී ලංකා Tæpæl Departhamenthuwa, Shri Lanka), is a government operated postal system in Sri Lanka. The postal headquarters is the General Post Office which is located in Colombo. The department itself comes under the purview of the Ministry of Telecommunications and Posts. It was formerly known as the Ceylon Post and Telecommunications Department and is one of the oldest Government departments in existence today. Official mail is mail sent from, or by, an authorized department of government, governmental agency or international organization and normally has some indication that it is official; a certifying cachet, return address or other means of identity, indicating its user. In some countries, postage stamps have been issued specifically for official mail. Airmails of the United States or U.S. Air Mail was a service class of the United States Post Office Department and its successor United States Postal Service delivering mail flown by aircraft within the United States and its possessions and territories. Letters and parcels intended for air mail service were marked as "Via Air Mail", appropriately franked, and assigned to any then existing class or sub-class of the Air Mail service. The Barbados Postal Service (B.P.S.) is the national postal operator of Barbados and operates as a department within the Government of Barbados where it reports to the Ministry of Home Affairs. The Barbados Postal Service (B.P.S.) is headed by the Postmaster General, Margaret Ashby, who is responsible for maintaining the island’s postal services, subject to the laws of the island. In 1852, the Postal services for Barbados were reconstituted following the passage of local legislation enabling the delivery of inland postage. A mail bag or mailbag is a generic term for a type of bag used for collecting, carrying, categorizing, and classifying different types of postal material, depending on its priority, destination, and method of transport. It is oftentimes used by a post office system in transporting these different grades of mail. The mailbag is carried by some means of transporting like a mail carrier, animal, or a mobile post office. Letters and printed material delivered by mail in the seventeen-hundreds were carried by horse in a saddle bag. There are several different types of mailbags for different purposes (e.g., transporting mail to and from post offices, delivering mail to businesses and homes. These different styles of mailbags depend on its size and purpose. It can range from "a large bag used for transporting mail on a truck, plane, etc." to a simple "postbag" used by a mail carrier to deliver mail.